Downloading videos from YouTube is basically used to not depend on an Internet connection to play our favorite videos. Just think about it: what would you do if your Internet gets cut off and you couldn't watch your favorite music clips? Well, Youtube-DLG offers you an emergency solution. It might not be the download client with the best design of them all but in its favor, we have to mention that it's compatible with loads of video streaming sites, not only Google's product. On its long list, there are hundreds of them, including, for instance, NBA pages... and also obviously adult content channels just in case you run into a real necessity and you're offline. 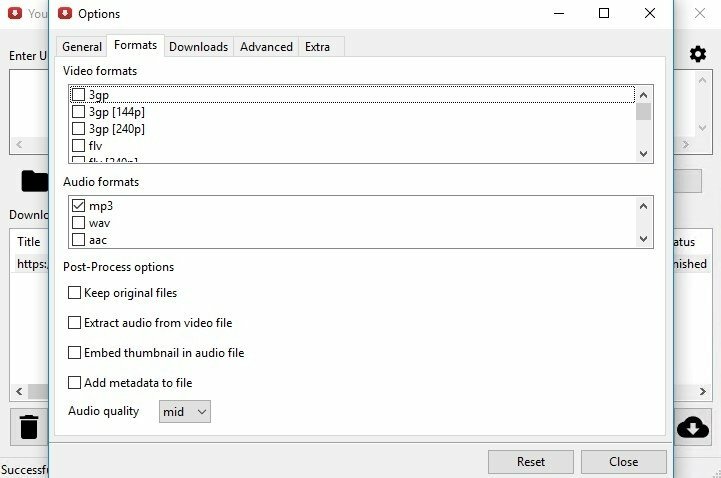 You can download to your computer any video from the Internet. Download videos in hundreds of different formats. 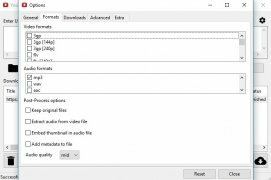 Extract the audio from the videos in MP3, M4A, Vorbis, and many more formats. Download separately or jointly the video and audio. Add metadata to your files. Embed thumbnails into the files. It might not be as good looking as aTube Catcher but it's a great alternative to the latter and other online video download clients.